Sarah listens, and then gently guides each new mom to achieve her breastfeeding goals. During the consult a full assessment of the mother and baby is completed. Before nursing, the baby is put on a pediatric scale for an extremely accurate weight check( to 1/10oz) . While mom is breastfeeding the baby Sarah compassionately guides mom and baby to make them both as comfortable as possible. Before Sarah leaves, she writes and discusses a personalized care plan with complete instructions. Moms are always welcome and encouraged to contact Sarah via phone or email after consultations to make modifications to their care plan if necessary. To make it easier and more comfortable for new moms Sarah encourages in home lactation consultations. However, office consults are available at her Brooklyn location. The fee of the consult includes follow ups via phone or email. 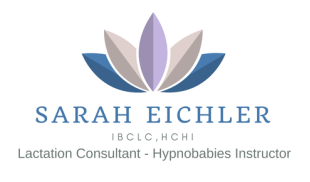 Sarah is a Interenational Board Certified Lacation Concultant(IBCLC), and a Lamaze Certified Childbirth Educator(LCCE). Sarah is a member of New York Lactation Consultant Association (NYLCA) and Lamaze International. In Home Consultations are scheduled the same day or generally within 24 hours. AETNA - Clients are seen Tuesday and Friday. In office.